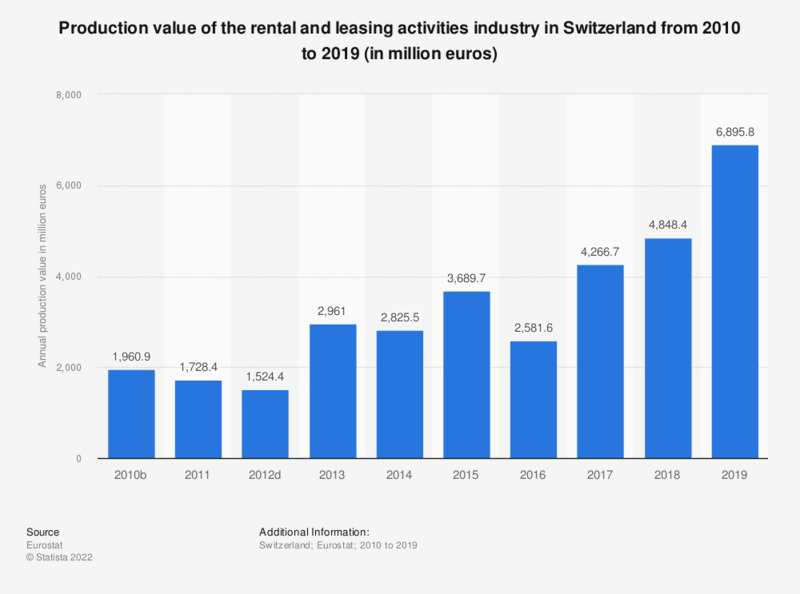 This statistic shows the production value of the rental and leasing activities industry in Switzerland from 2009 to 2015. In 2015, the production value for the rental and leasing activities industry came to approximately 3.69 billion euros. ** Definition differs, see metadata.